Ireland have written history after defeating the All Blacks 16-9 in the Aviva Stadium last night. 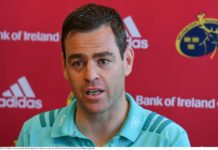 After picking up their first ever victory over New Zealand in 2016 in Soldier Field, last night was the nations first win over the All Blacks in Ireland. 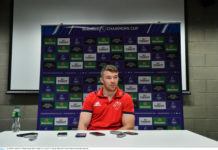 Munster’s Peter O’Mahony was unquestionably Man of the Match in a game where neither side gave an inch. 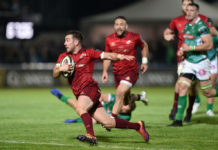 In the end, Jacob Stockdale’s magic down the left touchline would prove to be the difference with the Ulster wingers try the only five pointer of the game. Ireland led at the break 9-6 with Johnny Sexton landing three relatively easy penalties with New Zealand lucky not to lose a man to the bin. Ten minutes after the restart, Stockdale would have his moment has Ireland held a 10 point lead with a half an hour on the clock. 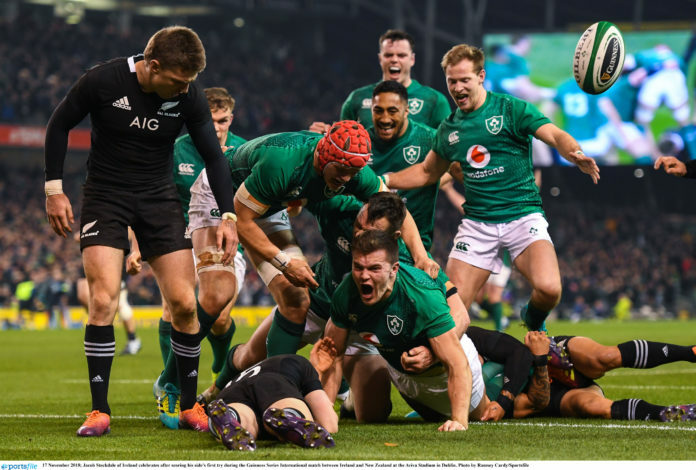 Despite enormous pressure from the All Blacks, Ireland held out to secure a previous victory in front of a rapturous Aviva Stadium. 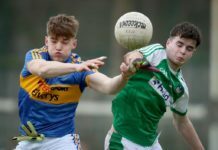 The post WATCH: Ireland record first ever home win over All Blacks appeared first on Sporting Limerick.